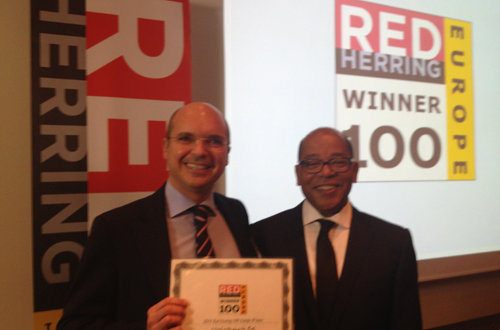 Track and trace specialist Unicheck has received a 2014 Red Herring Top 100 Europe Award. Unicheck – a division of Polyhedra Group - won the award with SEiD, its global platform for Track & Trace, Anti-Counterfeiting and One to One Customer Communication. Red Herring's Top 100 Awards recognise Europe's leading private companies, celebrating their innovations and technologies in their respective industries. “Selecting companies that show the most potential for disruption and growth is never easy,” said Alex Vieux, publisher and CEO of Red Herring. “The platform is very flexible. Customers can choose the functionality, confident that they can add other functionalities at any time,” Steve Hobbs, chief business development officer at Polyhedra Group told PMLiVE. Red Herring's editorial staff evaluated the companies on both quantitative and qualitative criteria, such as financial performance, technological innovation, management quality, overall business strategy and market penetration. “Being among the most successful European companies is a very important recognition of the quality of our team and our partners who work very hard every day to take our break-through technology to the market,” said Unicheck CEO Mario Gozzetti.